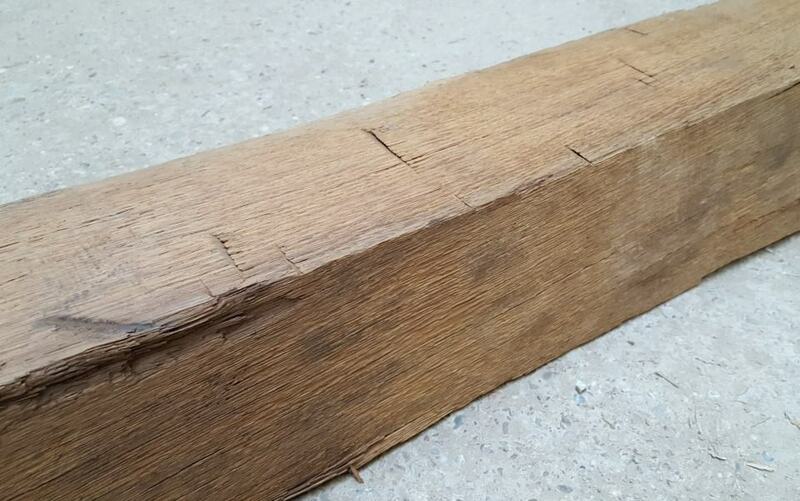 Beams from solid reclaimed oak – Type E1 – will convince you with their original sunburnt and hand-hewn surface. The beams are denailed by sight and clean swept. 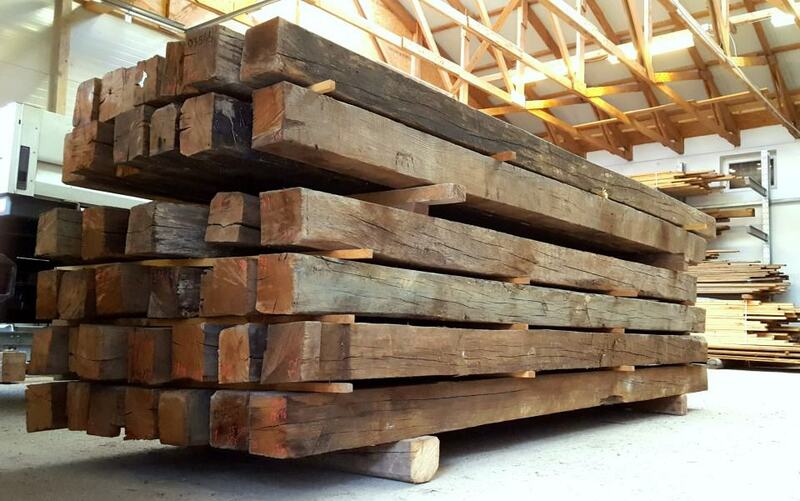 Beams and rafters from spruce/fir/pine can be found here. 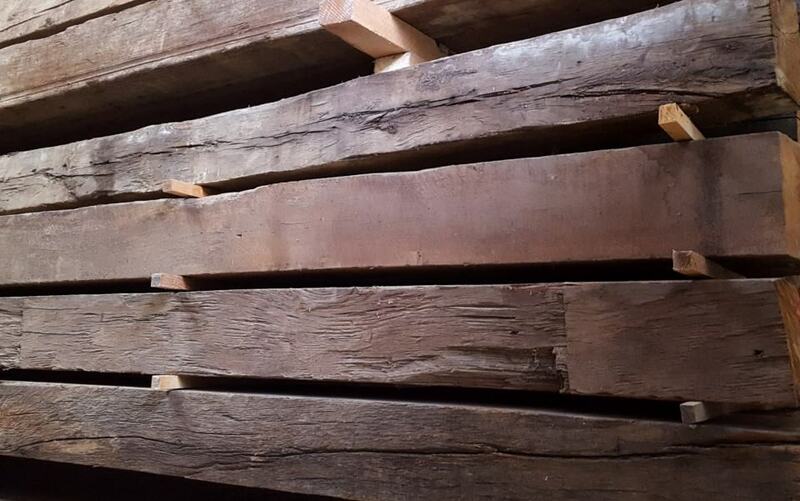 Solid oak beams are among the most valuable (reclaimed) woods – not without reason oak is the symbol of eternity (oaktrees can live as long as up to 30 generations).